Of all American car companies, I believe Dodge has the best advertising campaign going strong right now. 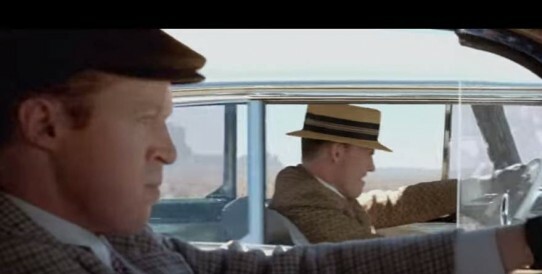 Last year, in honor of the company's 100th anniversary, they brought their brand's founders -- brothers Horace and John Dodge -- back to life in a series of commercials that do a nice job paying homage to the auto manufacturer's heritage. The quality of Dodge's cars and customer satisfaction has been on the upswing the past few years and their current models such as the Charger, Challenger, and Dart are helping to preserve the glory days of 1960s and 1970s driving. They look like fun, these two natty young men who look like they stepped right out of Downton Abbey. But the commercials, of course, can't tell the entire story of the Dodge Brothers, and they may be fudging their reputation and legacy, just a bit. For starters, both brothers died while in their 50s in the year 1920 -- a mere five years after their company started producing complete automobiles. So when you see Horace and John burning rubber and racing each other in classic Dodge vehicles ranging from their very first model up to the present day, obviously that never happened (and the actors chosen to play them in the advertising campaign are younger than the brothers were in 1915.) They also were the bad boys of Motor City at the time and developed quite a unfavorable name for themselves drinking and starting bar room brawls. Their crude manner actually got so bad, Detroit society eventually shunned them even though they were among the city's wealthiest residents. 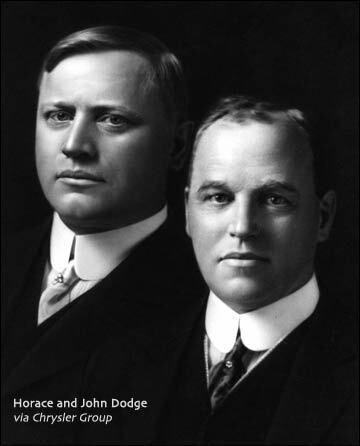 John Francis Dodge was born in 1864; his brother, Horace, was born four years later. The two "red-headed urchins" were inseparable both as kids and adults. Biographies about the brothers claim that they dressed exactly alike well into adulthood and refused to respond to mail unless it was addressed to both of them. Their father, a boat engine mechanic, fostered the boys' love of transportation and mechanical engineering. John was good at selling and marketing while Horace was a mechanic and gifted inventor. Horace invented the first dirt-proof ball bearing and he and John ran a bicycle manufacturing business in the late 1800's. But as the country entered the 20th century, the attention was turning away from bicycles to automobiles. 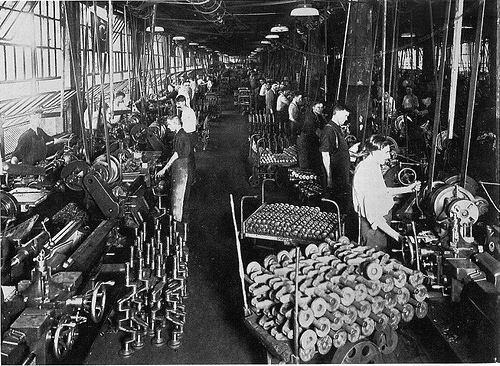 Detroit -- which was starting to boom with the likes of Henry Ford -- needed auto part suppliers. Seizing the opportunity, the Dodges sold their bike business in 1901 (which was failing anyway due to a lack of royalties from a third party and botched business deal) and set up their own auto part shop in Detroit. By the following year they were building transmissions for the Olds Motor Vehicle Company. In 1903, they turned down the chance to renew their contract with Olds to instead make chassis and engines for the Ford Motor Company. The deal also included ownership of Ford stock. By 1910, their factory had moved into a larger space in Hamtramck, Michigan, and John Dodge had become the vice president of the Ford company. Despite their hell-raising reputation during off hours, the brothers treated their employees extremely well. Their plant provided perks that sound like a foreshadowing of Google; their workers had access to a fully staffed on-site medical clinic, and lunch consisted of sandwiches and huge pitchers of beer, paid for by the company. There was also a machine shop called "The Playpen" where the men could tinker with or fix things after their shift. For ten years, the brothers' company was the main supplier for Ford. John and Horace, however, weren't content to just make car parts; by 1913 they were dreaming of creating their own automobile. Much to Henry Ford's distaste, they terminated their contract with Ford which put their stock earnings in jeopardy when Ford decided to stop paying dividends. They sued Ford, and were awarded $25 million when the court ordered the company to pay special dividends to its shareholders. 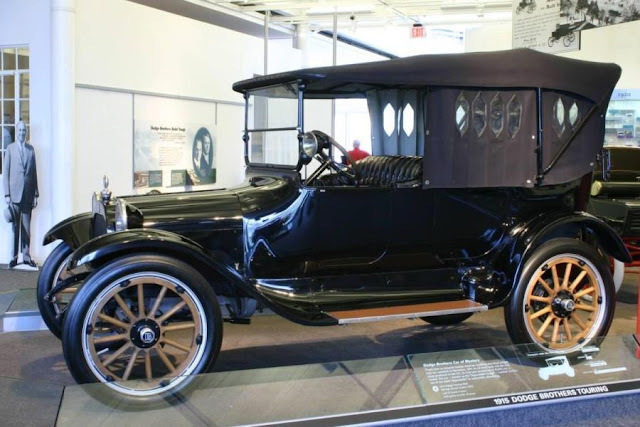 Henry Ford had another reason to be disgruntled with the brothers; their first Dodge car was meant to directly compete with Ford's popular Model T. The Dodge Model 30 put out a whopping 35 horsepower compared to the T's 20, and also boasted several innovative standard features such as all-steel body construction, a sliding-gear transmission, and a 12-volt electrical system. Heading into 1916, Dodge Brothers Cars were number two in sales behind Ford. Dodge Brothers was also making military and medical vehicles, some of which were used during the Pancho Villa Expedition in Mexico. Both brothers were heavy drinkers. In 1911, John Dodge and a friend beat up a handicapped attorney at a bar in Detroit. Previous to this incident, the brothers were just dismissed as troublemakers, but after this particular brawl made the papers any affection for them was lost and friends and acquaintances stopped inviting them to social functions. Both brothers married and built exclusive homes in one of Detroit's toniest neighborhoods. By 1919, the Dodge Brothers Company was manufacturing 500 cars daily and still couldn't keep up with customer demand. The following year, however, Horace Dodge got sick. The rumors at the time said he had consumed bad liquor, but his physician said he contracted Spanish flu, which would kill over 500,000 Americans during the epidemic. John Dodge, who slept outside his brother's bedroom while he was ill, soon caught the same influenza. He passed away at age 55 on January 14, 1920. Horace recovered but by many accounts was a broken man from the loss of the older brother he was so close to. He died at age 52 from cirrhosis of the liver on December 10, 1920. After the brothers' deaths, the management of their company went to their widows, and then through a few more hands before becoming known simply as Dodge, producing classic models by the mid 20th century such as the Coronet, Charger, Challenger, and more. We'll never know what might have been had the brothers lived a couple of more decades -- but no doubt they'd be tickled by their company's advertising campaign...as well as their company's legacy. Here's a compilation of the Dodge commercials featuring the brothers. Great post. I love learning the history like this. Humanizes the Dodge Brothers much better and more truthfully than the commercial does. Thanks, Tom! Glad you enjoyed it. On a weird side-note, Pam, have you ever watched 1976's "Bugsy Malone"? I don't know why, but the photo of that old 1915 reminded me of it. Wow, I never knew this. Thanks Pam! Cool stuff!